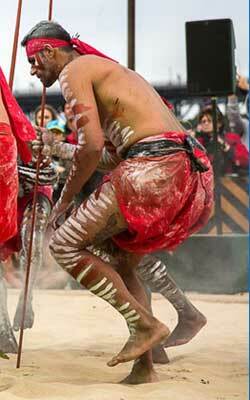 Russell is a Kamilaroi man with thirty years dancing experience. 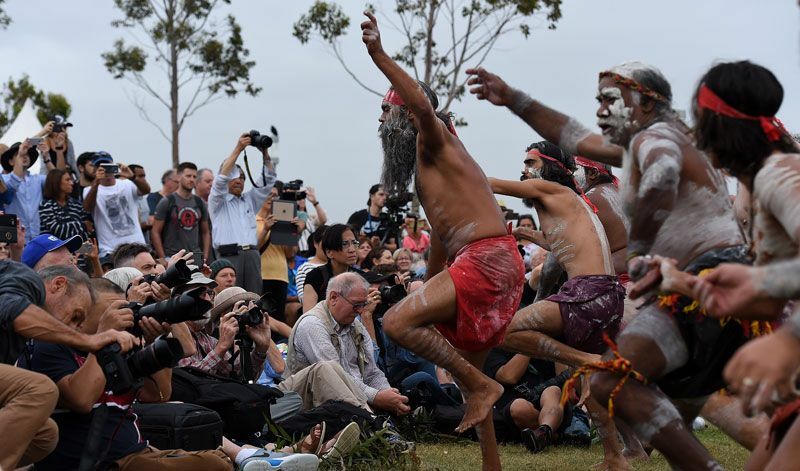 He dances for his culture and his people. 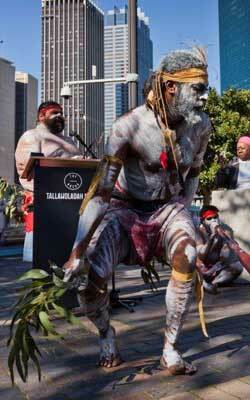 He loves to share the traditions of the Aboriginal people to keep the culture alive for future generations. 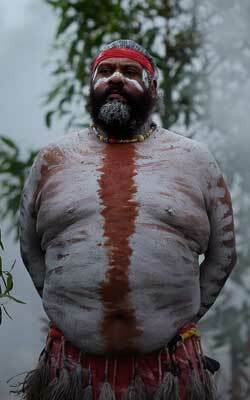 Cecil is from the Yaitmatung/ Yuin/ Monaro and Dinghutji mob. He has been dancing and singing for twenty five years. Cecil sings in his aboriginal language and his songs tell story; he is inspired by the expressions on the faces of his audience. 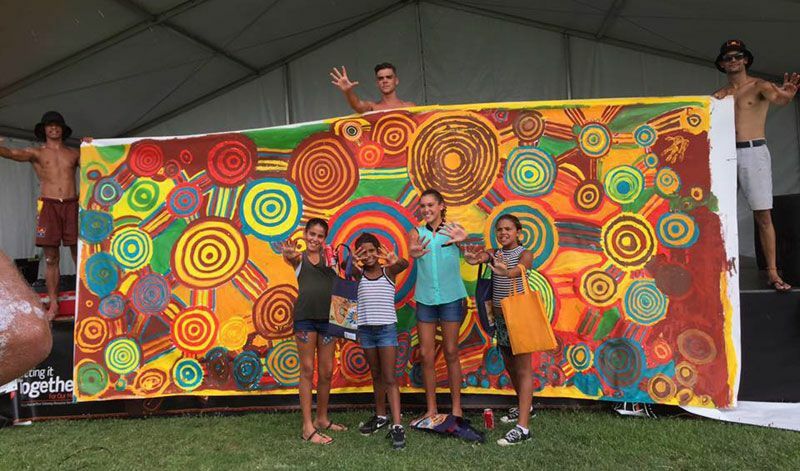 Albert David is a choreographer; dancer and teacher of contemporary dance and jazz, his creations incorporate both Aboriginal and Torres Strait Island styles. 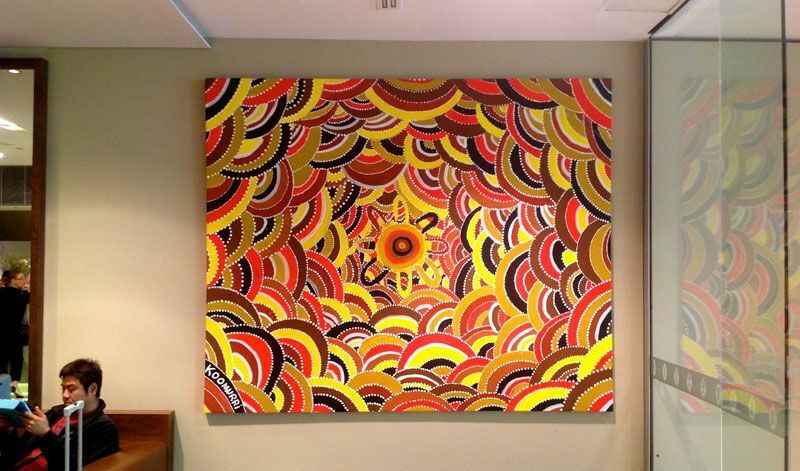 Albert was born in 1971 on Thursday Island in the Torres Strait; in 1989 he was accepted into the National Aboriginal Islander Skills Development Association (NAISDA) from which he graduated with a Diploma of Dance in 1994. 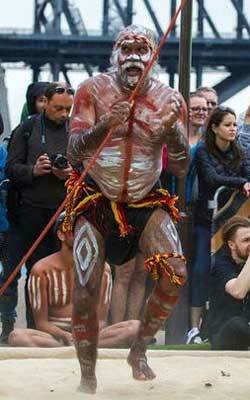 In 2007 he won best dancer at The Deadly’ s Aboriginal Awards at The Sydney Opera House. 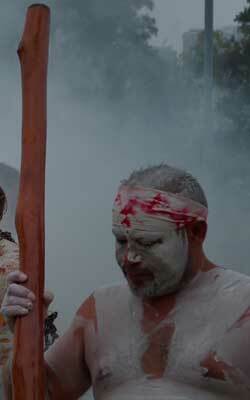 David is a descendant of the Dhurag and Derrubbin nations along the Hawkesbury River region of NSW . 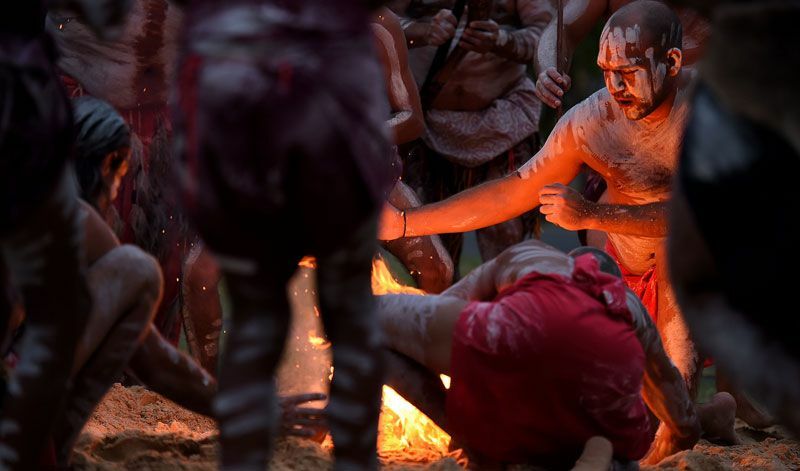 David lost touch for a long time with his ancestors and culture living in The Rocks in Sydney for many years when he met the Koomurri team and relearnt aboriginal culture and is now one of our most energetic dancers and performs didgeridoo at a master level. 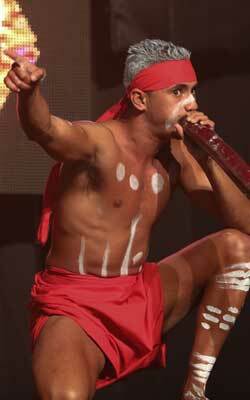 Stedman hails from North Queensland and the Torres Start regions and he lives and breathes his culture though song and dance. 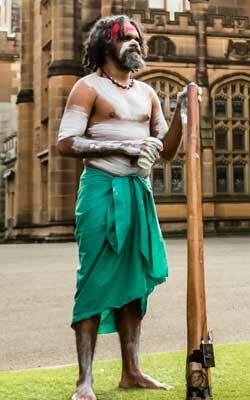 George Dow is one of the most explosive and versatile indigenous performers in the Australia today. 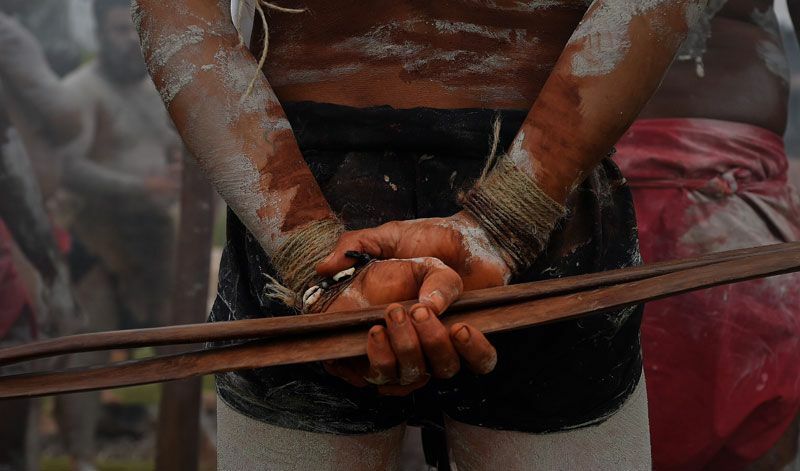 There are few artists around with such all round skills; he is a principal dancer and didgeridoo player in traditional Aboriginal mainland culture, and a principal dancer, singer, and musician in Torres Strait Island culture, George also backs up as a contemporary dancer, and a singer/songwriter/guitarist. 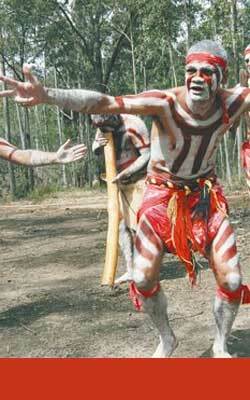 George Dow’s ancestry comes from the Cape York Peninsula & Murray Island having both Islander and aboriginal ancestry. 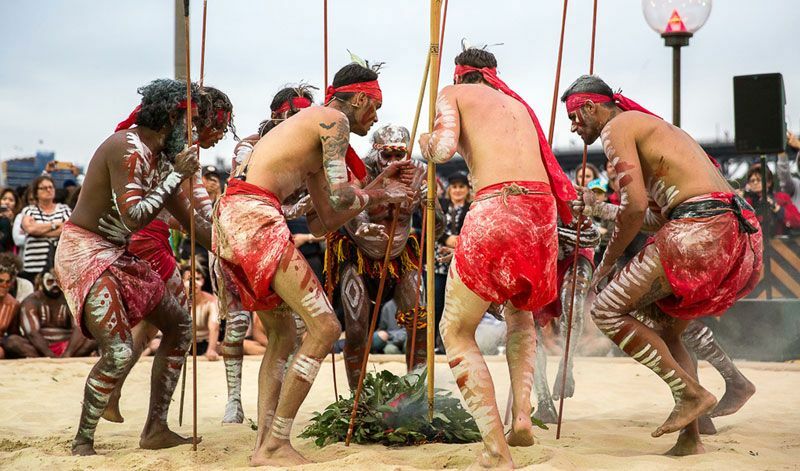 He learned his trade in Sydney at the Aboriginal Dance Theatre in Redfern, but was taught his traditional culture from his family and elders on Murray Island. 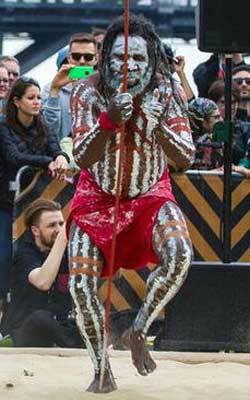 Arthur “Turtle” Tamwoy is one of the worlds leading traditional indigenous dancers, singers and didgeridoo players, his Father is from the central desert tribe of the Pidjandjarra and his mother is from Badu Island in the Torres Strait Islands. 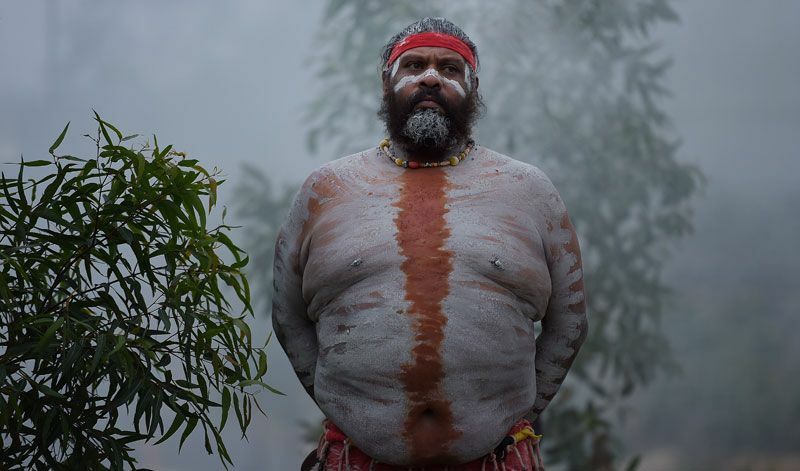 Turtle as he is known in indigenous circles has toured and traveled world performing traditional culture and joins Koomurri to perform when he is in the Sydney region. 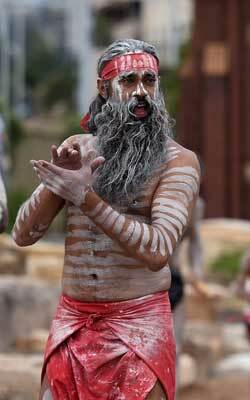 Greg is a Walgett man who moved to Sydney to re-learn his dance culture though Koomurri and has become a permanent dancer with our troupe. 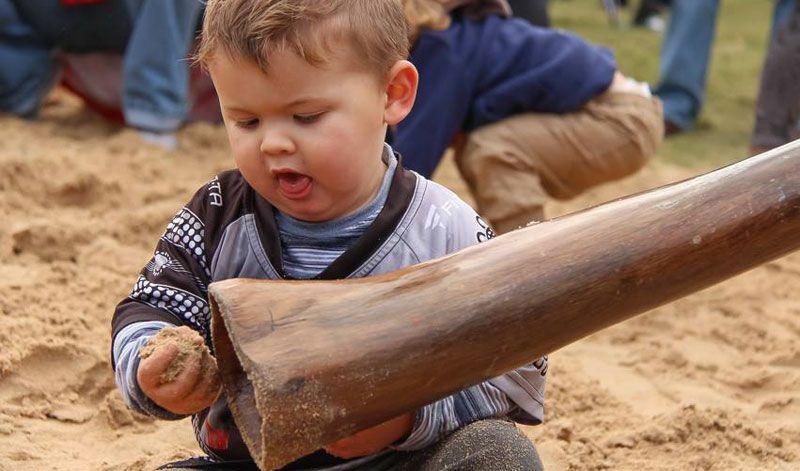 Our pre school packages are fun filled entertainment for the little tackers with plenty of hands on fun, song and dance. 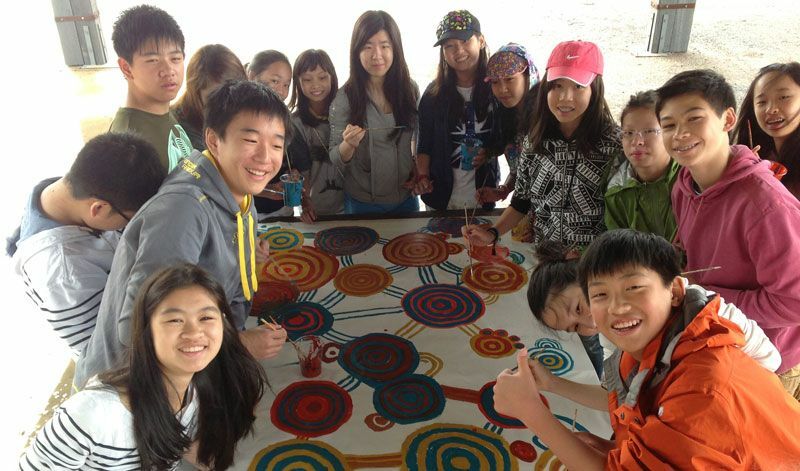 Our School incursions and workshops are renowned Australia wide and are customised to suit each age groups through to HSC students, Tafe, colleges and universities. 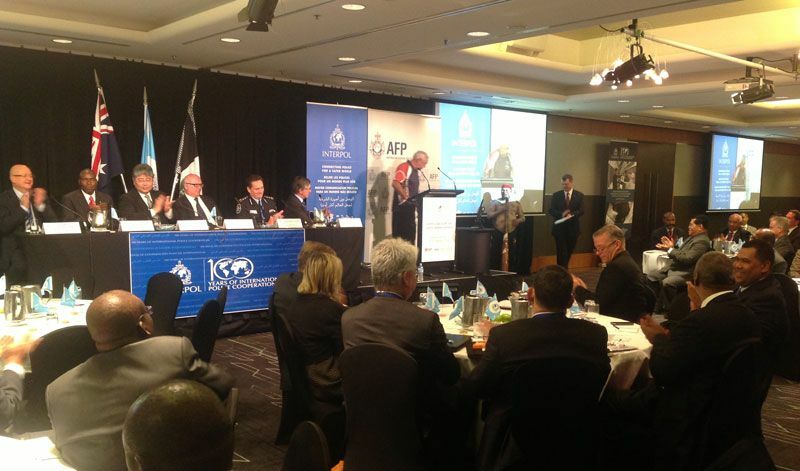 Our adult programs are a hit across all styles of business, NGO's and government bodies and can be performed in-house or in outdoor areas and function centres. 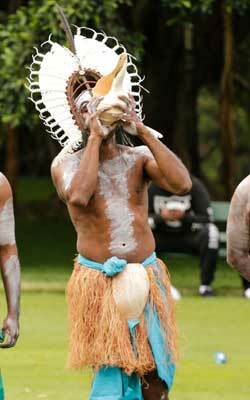 We also perform concert and ceremony for large events and stadiums. 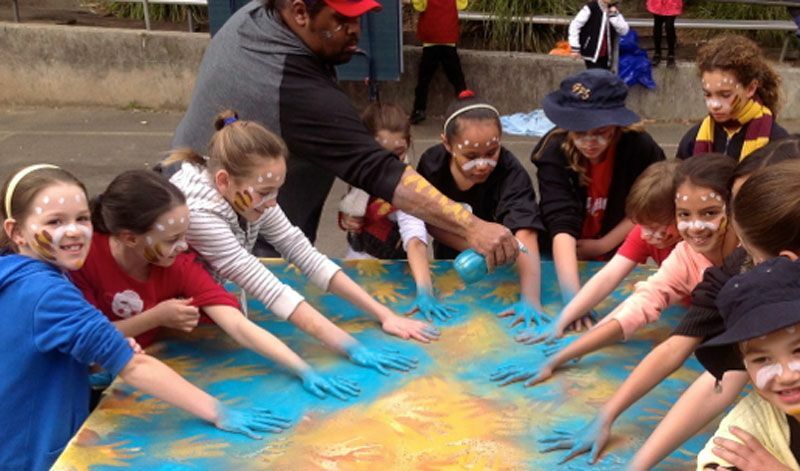 This program can be customised to suit school camps and programs, corporate, medium and small business, tourism and travel agents cultural tours, sporting teams and special needs organisations looking for an authentic educational and fun experience.